The European Architecture is stunning. As you drive up it looks like the building is literally rising out of the ground, well actually it is. Rolling hills in the background, just picturesque. On my trip to Napa Valley, I had to go visit. I will admit, Opus One is a great wine indeed. I enjoy the Bordeaux style and Robert Mondavi has been such an icon in the wine business. A great loss when he passed. Include Frescobaldi and wow what a couple of wine legends. Let me speak about why I like Opus One but have a hard time understanding the price and obsession for this wine. First it is a great classic Bordeaux style with 77% Cabernet Sauvignon, 12% Merlot, 5% Cabernet Franc, 3% Petit Verdot and 3% Malbec. 2006 tasted at winery. It has beautiful aromas of roses, tasting notes were black cherry, bacon, cassis, espresso, dark chocolate, long elegant finish. Superb wine indeed that is very silky on the palate. A previous very wealthy boss that I worked for who happened to own a wine boutique that I managed, (who mind you knew nothing about wine), made my impression of Opus One very different. 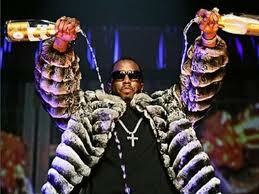 Every party we had, event, tasting, or just hanging out in our office he ONLY drank Opus One. Since I did all the wine buying I would beg him to taste other wines, to explore other options. Nope, every single wine I gave him he disliked. I will never forget we had a huge pool party at his mansion, hot typical summer weather in Florida. We went through probably around 10 (6pk.) 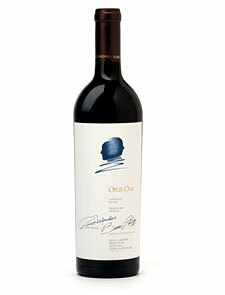 cases of Opus One only, that is all he would serve his guest. Watching people drink it while in the hot sun in bathing suits just because of the name sickened me. It is one thing if you appreciate the quality of a wine but they were simply drinking it to be cool. I do appreciate what a fine wine it is but in my opinion there are many other Bordeaux style wines just as good if not better for half the price. I think it is over rated for sure. Reminds me of all the people who drink “Cristal” Champagne. Such followers, I look at people like this who only enjoy for the name, wow are they ever missing out on some great wines. This picture represents the absurdity of NO class or clue! Beautiful winery, excellent quality wine, just over hyped and over priced. This entry was posted in Winery Visits and tagged Cristal Champagne, Frescobaldi, Napa Valley, Opus One, Overture, Robert Mondavi. Bookmark the permalink.